Discover this area of immense natural beauty in the Pyrenees. Visit the Vall de Núria by rack railway, the only means of transport into the valley. At the top, we'll take a guided tour and go snowshoeing. The more adventurous will also have time for other snow sports..
From 8 December 2018 to 23 March 2019: every Saturday. 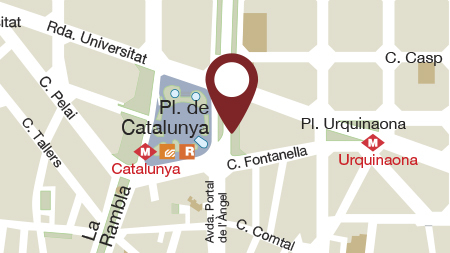 Departs from Barcelona, Plaça Catalunya no. 14 at 8.00 pm and returns at 7.15 pm. Access to viewpoint (cable car ticket included) . Guided tour and snowshoe trail (depending on the weather). Discounts on activities, ski passes and equipment hire. Itinerary: Barcelona > Vall de Núria > Free time > Return to Barcelona. The Pyrenees' Snow Experience Tour only runs from December to March. Sorry for the inconvenience!